Get My Program (Ages 7-14) NEW! 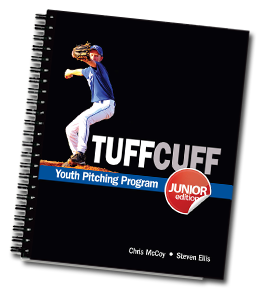 ATTENTION PARENTS: While there aren't many pitching programs that are age-appropriate and safe for kids 7-14, there is one that provides youth pitchers with effective guidelines for strength training, pitching mechanics, and how to pitch faster in baseball. Click here to learn more about my youth pitching program. Let's talk about the mental side of pitching... what does it take to be a mentally tough pitcher? Have you ever played golf before? ...and a strong mental state of mind. And those who pitch and play golf certainly understand how tough it is to improve. For exclusive tips and insights not found on the site. When you're pitching, you can't think, 'I can't hang the slider,' just like, on the course you can't think, 'Don't hit it left.' Why? Because the brain recognizes only the last command. It hears, 'left.' It doesn't hear 'don't.' They are both risk-reward sports, and you have to think only about the reward. Under the gun I don't feel any different trying to make a great golf shot than I did a great pitch. Have we heard from you yet? The 2019 National Baseball Pitching Survey is the most important poll we take all year. It's just 5 questions. Take the survey now. If you've ever visualized a successful outcome in your mind before attempting it, you’ve used mental imagery to enhance your performance. A big part of playing consistently and confidently is training not only the body, but also the mind. Whether your son is already a great pitcher and you want to work on maintaining that, or a pitcher that has some areas to improve on, integrating mental training skills can be helpful. As you know, it can be difficult for a pitcher not to let the game speed up on him when he's not hitting spots and batters are squaring up and hitting the ball all over the park. Staying calm, breathing, forgetting what just happened and only focusing on what's in front of you at that second—this is all much easier said than done. Trust, clarity, detachment, simultaneously being calm while channeling peak intensity—these are all qualities confident, mentally tough pitchers have perfected. Fred Corral, the pitching coach at the University of Georgia, says visualization is key to his pitchers' success. In fact, he says pitchers that simply visualized their mechanics to the plate and visualized themselves hitting the spot they're about to throw to, had an increase of 25% versus pitchers who just get their spot and throw. You can have all the physical attributes in the world, but if you can't control your emotions when things aren't going your way, it's a wash.
That's why I value pitchers that pitch consistently deep into games. They have the mental toughness to get through rocky innings and keep their teams in games. Those in my opinion, are the best pitchers. I think we've all seen instances of young pitchers not being able to execute in big moments because they are so afraid of all the risk of the moment. A hitter could hit a home run on a pitch you throw inside. A hitter could hit your 0-2 pitch and coach will be mad. If your son is focused on all the bad things that could happen, chances are they will happen. The risks in pitching—characterized as all those bad things that could happen on the next pitch—are unavoidable. There is no way of escaping them. 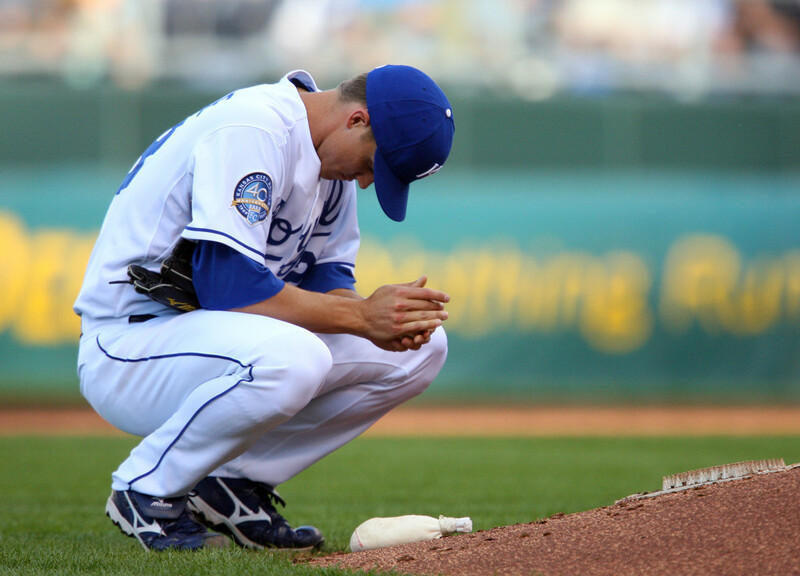 During a hard inning, a pitcher can't dig a hole behind the mound and bury his head, as much as he might want to at times. And there will be many hard innings throughout a pitcher's career. The sport of baseball has the pitcher's position played in the middle of the field, stopping and starting on their pace, and assigns a W or L at the end of the game in their stat line. What other "team" sport has a position with that much responsibility? That's how he can set himself up to be successful. 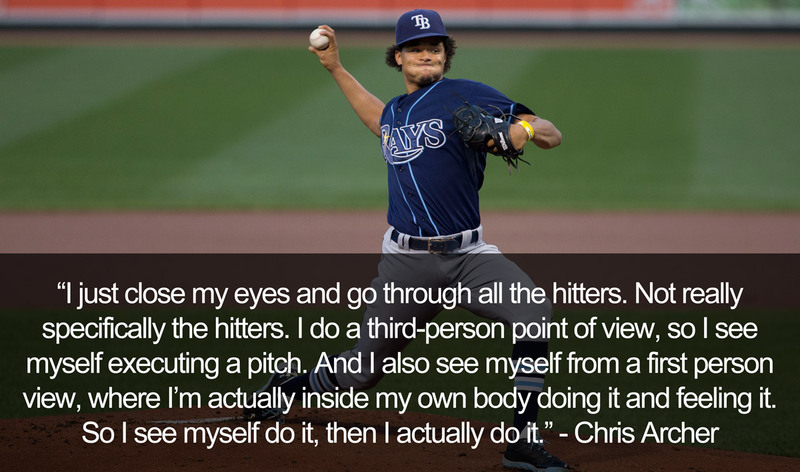 Ask any pro baseball pitcher, and he'll tell you that the mental side of pitching is just as important as the physical. A pitcher's ability to master the mental aspects of the game often is the difference between winning and losing—from peaking at the lowest levels of the game or advancing to the next. And then once you reach that next level of the game, you begin to realize that everyone else also has the same stuff pitching wise. So what then separates the guys you see on TV from the guys that don't quite make it? I will approach every hitter with a "This game is mine" attitude. Every time I walk on the mound I control the game or batting practice or throwing on the side. Nothing can happen till I release the ball. I am in charge. I will know the purpose of every pitch and picture myself succeeding. (The purpose is to get the hitter to hit the ball.) Visualization can be very beneficial. I will challenge every hitter with my power pitch. Every hitter must prove that he can hit my power pitch. My other pitches will compliment and set up my power pitch. I will develop an off speed pitch that I can throw for a strike when I am faced with a fastball count, 2-0, 3-0, 3-1, 2-1, 1-0. I will know my strike zone and throw pitchers strikes. I will never throw hitters strikes. This means developing my power pitch on and off the plate and pitching to both sides of the plate. I will pitch inside. I will develop a plan for each hitter. How? Develop an attitude that says every time I see a hitter swing or take a pitch I will learn about him. To do that you must be in the game on every pitch: On the mound or in the dugout or bullpen. What does focus mean to pitchers? For most pitchers I speak to, the answer I receive is that it is something they bring with them on game day. When the ball gets placed in their hand, they try to eliminate all distractions that would detract from their performance. Anything that could detract his focus away from the game. But does it make sense to have this focus only on game day? Focus is something a pitcher should strive for and work on improving every day. A large part of focus is the consistency to concentrate on the task at hand. This focus doesn't need to only be during competition, it can be every time a pitcher is working to improve his game. When a pitcher regularly incorporates a high level of focus in what they are doing, it becomes easier to find it when needed. When a pitcher puts focus on his "between start" bullpen sessions, he will soon find it easier to flip the switch when they need to on game day. When a pitcher puts focus on watching the game as a student, as opposed to a fan, he will begin to understand the game. And when a pitcher puts focus on his daily activities such as PFPs, he will find they will become even more routine during a game situation. Challenge your son to have the focus he brings on game day, to all his practice activities too. By doing this, he will be making himself a better pitcher. "Do you know where your eyes go when you pitch?" The pitcher replied he looked at the target every time. Well, Mr. Dorfman asked, "What color was the catcher's glove?" The pitcher had no idea. If the pitcher is so focused and concentrated on a target for 65+ pitches a game, you would have to have the catcher's glove burned in your brain. The next time your pitcher throws, make sure he looks at the target. It will make a difference. 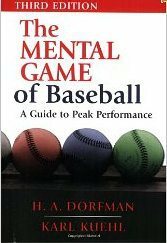 By the way, if you don't already have a copy of The Mental Game of Baseball, you can get it here. The mental part of pitching is where everything comes into play. If you have let downs, you have no future in this game. How do you go about your job? Are you committed to pitching? At the college and professional levels of the game, you’ll pitch under a microscope and your true colors will come out. It’s easy to joke around when you’re doing well, but when you’re not doing well, are you still willing to do the work necessary to get better or not? Or, are you just going to put it in shut down mode? There will be times in your pitching career where you will have ups and downs. Your success over the long haul, however, will come down to attitude. Taking at least one deep breath when nervous or in trouble helps to calm the mind and body. The extra oxygen into the bloodstream chemically relaxes or slows down the built up tension. Inhale a deep breath, then exhale out (RELAXED)! When a pitcher shows visible signs of negative facial and or body gestures his control factor normally suffers. Even worse, the other team now has a huge edge in the game. Either composure for the pitcher comes back or the pitcher should come out. 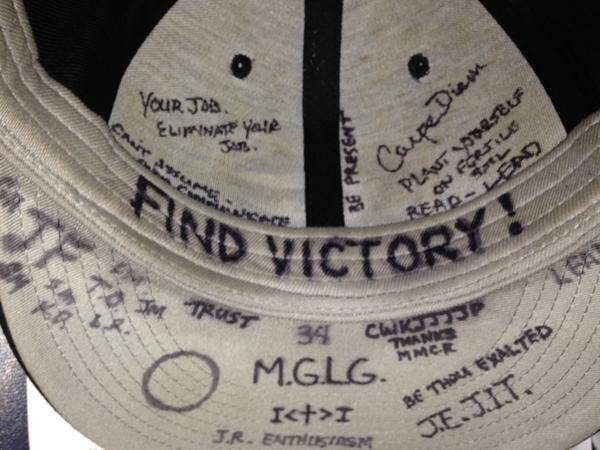 Alan Jaeger’s self-talk process, which is part of work he does at Jaeger Sports, is as good as it gets. His process is eliminating uncontrollable variables like consequences, negative thoughts, distractions and drama. Lock into what you can control with clarity. Have you ever done what Chris Archer does, too? Whether it's before a game or before a pitch, routines are used in sports to build consistency, channel the athlete’s focus, and put them in the optimal physical and mental state of readiness. Whenever I work with young pitchers, I always ask what their pre-pitch routine consists of—what they do before every pitch. Most pitchers just look in, take the sign from the catcher, wind-up, throw the pitch—and then hope for good results. It's important to understand that having a consistent pre-pitch routine has a great deal to do with pitching relaxed, staying focused on the present moment, and creating better results on the next pitch. Sometimes it’s a matter of taking a deep breath or focusing on one specific positive thought in advance of each pitch. This relaxation and positive mental focus by keeping thoughts in the present moment thinking one pitch at a time can have a big impact on performance. The idea being—one pitch and one hitter and one inning at a time. And a pitcher's pre-pitch routine is not just something to be used in games, but rather during every pitch he throws in the bullpen, flat-ground throwing, and between-inning warm-ups. Having a pitching routine is all about getting more focused to do your job of hitting the glove more consistently. But little reminders can also be a BIG help. "Cue word utilization incorporates techniques such as imagery, positive self talk and visualization," says Philip Del Vecchio III, a sport and performance mental skills consultant. "After the pitcher has assessed the situation between pitches and developed a positive situational outlook, he should now plant a cue word in his brain that will drive his sense of confidence and strength." Why not write it down and put it on your mirror where you see it everyday—especially on game days. This is the type of stuff that gets you focused on what you are trying to do. It gets you pumped up. It helps keep you in the present and in control. What helps you focus, keep grinding, keep working hard? 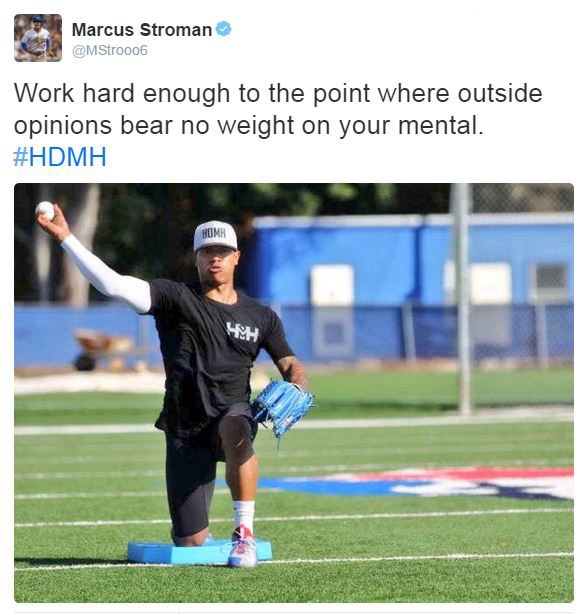 For Marcus Stroman, it's proving doubters and naysayers wrong. At 5-foot-8 and 165 pounds, people told him his entire life that he'd NEVER be a MLB pitcher because he was too small. "Doing everything they said I couldn't. With a smile and chip on my shoulder!" My primary goal in presenting this information is to help pitchers build consistency. By definition, consistency refers to the achievement of a level of performance that does not vary over time. That being said, one way a pitcher can achieve consistency on the mound is if he develops and consistently executes the same pre-pitch routine before every pitch. This will allow the pitcher to always be working toward achieving the flow state. So let’s get focused, let's get confident, let's get empowered—and let's dominate some hitters! While there aren't many pitching workouts that are age-appropriate and safe for kids 7-14, there is one that provides youth pitchers with a daily routine to improve mechanics, increase functional strength and keep their throwing arm healthy. If you believe good mechanics, good physical fitness and a good throwing regimen are crucial to your son's arm health, velocity and success, click here to learn more about my youth pitching program. Are there any pitching mental toughness tips that I missed? Or maybe you have an idea of how I can make this list even better. Either way, leave a comment and let me know.